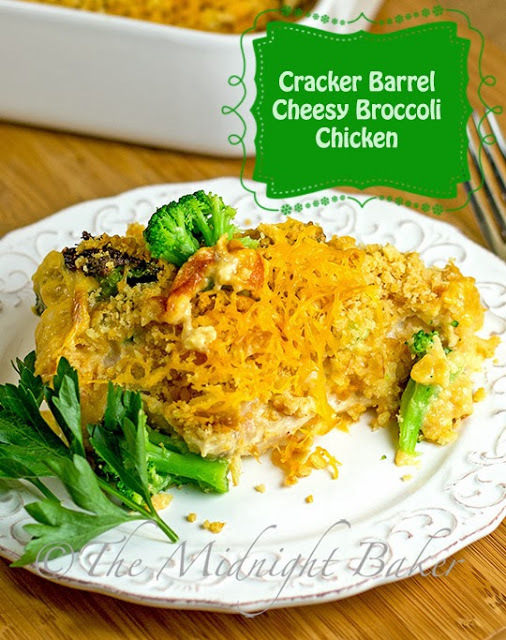 Here’s a great copycat recipe for the famous Cracker Barrel Chicken Broccoli Casserole. Is there anyone who doesn’t love Cracker Barrel’s great comfort food? 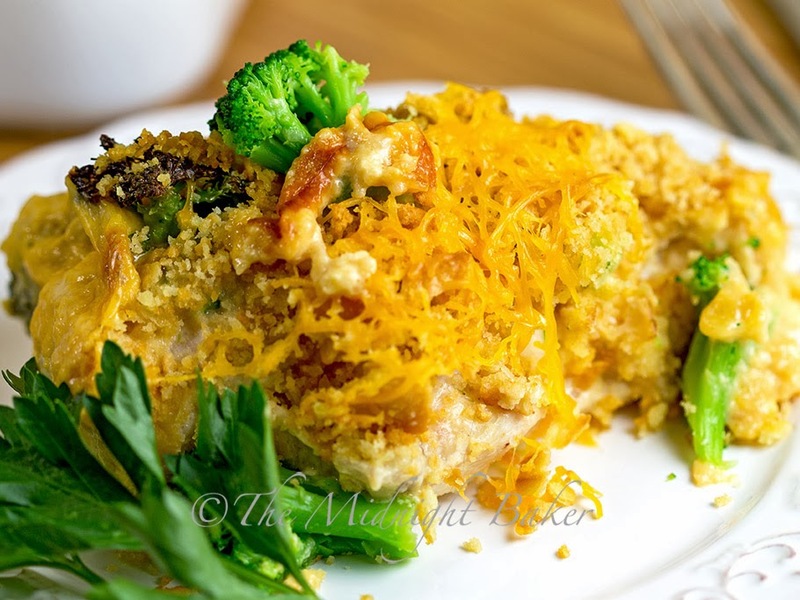 I’ve seen a number of copycat cracker barrel recipes floating around for this chicken and broccoli casserole, but I never much cared for the sauce(s) that came with it. So I perfected my own sauce. Now I know that Velveeta isn’t everyone’s dish of tea. I rather like it and I like one thing most about it–sauces made with it do not separate like ones made with natural cheese. 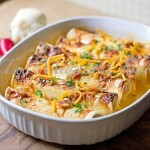 You can add natural cheese too, so long as there’s a fair amount of Velveeta. I’ve tried it. It works. However, if you really hate the stuff or have an allergy to it, alternate sauces can be made. The first alternate is, of course, a cheese sauce made with a medium white sauce with yellow cheddar cheese. The second alternate is a can (10.5 oz) of condensed cheddar cheese soup to which you add 8 oz evaporated milk. So take your pick; you have 3 choices! Naturally evaporated skim milk may be used as well as 2% Velveeta and/or cheddar cheese, and reduced-fat crackers, but please use the butter. It’s really necessary for the flavor here! 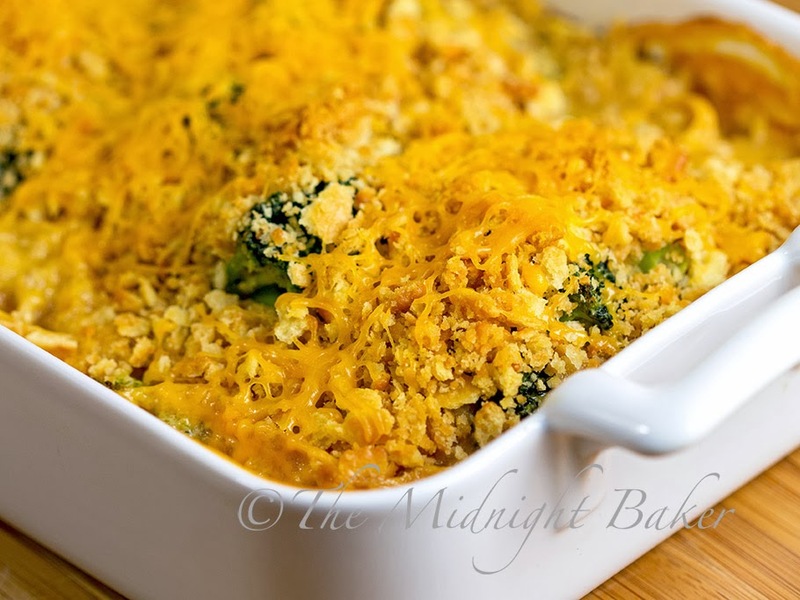 Preheat oven to 350 degrees F. Lightly spray or grease the bottom of a 11 x 7-inch baking pan. 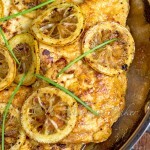 Place chicken breasts in prepared pan. Sprinkle seasoned salt over the chicken breasts. Set aside while making sauce and buttered crumbs. Place sauce ingredients in a medium microwave-safe bowl. Microwave on HI in 30 second intervals stirring after each 30 seconds, until Velveeta is melted and sauce is smooth. Prepare buttered crumbs by processing the crackers either in a food processor or placing them in a bag and using a rolling pin. Be careful not to overprocess the crumbs!! You want some larger pieces in there for the crunch factor!! Drizzle with the melted butter and stir until all the crumbs are coated. Pour half the sauce over the chicken breasts. Add broccoli evenly across the top of chicken. 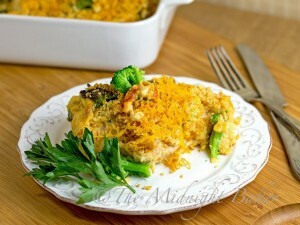 Pour remaining cheese sauce over broccoli and chicken. Top with the buttered cracker crumbs. Bake at 350 degrees F for 40-45 minutes, or until chicken test done (180 degrees F) in the thickest part. In order for me to use your recipes, rather than shorthand them, could you please have a section marked “PRINT”? All my recipes are in the process of being converted to include that Esther. I have 700 to do and there’s no shortcut, unfortunately. Just working my way down the list and haven’t gotten to this yet, but if folks ask me, I will do the one they want ASAP. Will do this one now for you. Yes! Print Option PLEASE!!!! 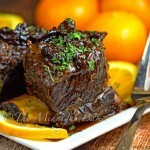 If you add a way to print each recipe – I will continue to use this site. If not, I will delete or unsubscribe from your Site. I hope you provide the print option for I LIKE YOUR SITE. 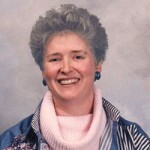 Wanda I just moved my site to a new platform and have 700 recipes I must manually input. 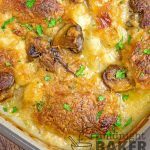 This takes time and if there is a recipe you want to print and I haven’t done it yet, you merely have to email me or post on my Facebookpage and I will do it for you. It’s as simple as that. This recipe is converted. The print button is under the small pic. You can always copy and paste the recipe to the Word program. It’s not difficult, and you can save the recipe to your Recipes folder.